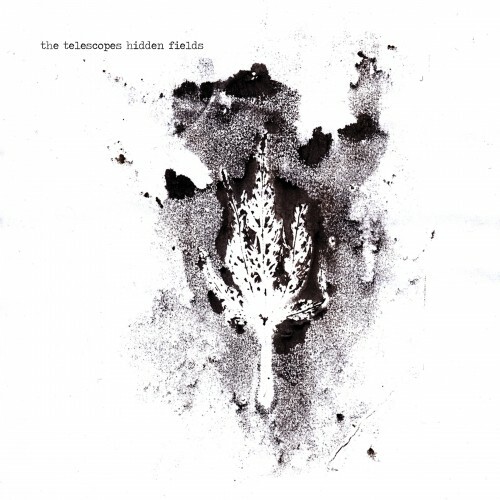 The Telescopes' last record - Hidden Fields from 2015 - was an absolute classic. Now Stephen Lawrie is back with a ninth album, As Light Return. He is joined once again by members of the band St Deluxe. If it's business as usual, we're in for a right treat. Reassuringly, You Can't Reach What You Hunger starts just as I hoped with a slow, soporific drone-groove. The bass is heavy and simple. The drums are also simple and go to double-time for the chorus, like Just Like Honey. The guitars squeal and screech but it is a warm noise; reassuring, not harsh. Stephen Lawrie's deep voice floats around the noise like Monkey on his cloud. It is also a fine song. Down On Me has more warm noise but there is also an acoustic guitar brightening up the mix as well as little splashes of cymbal. Towards the end, everything that isn't making noise drops out leaving us with a couple of minutes of beautiful noise. The noise continues on Hand Full Of Ashes. This time the relaxed bass and drums are back, lulling us. Something In My Brain starts with a tremolo sound before the full band shuffle in. The pitch-shifting noise is quite close to Loveless by My Bloody Valentine. Like You Can't Reach What You Hunger it is a 'proper' song with chorus and tune. Like Down On Me it ends with just noise. The 14 minute Handful of Ashes ends the record just like The Living Things takes up the last 15 minutes of Hidden Fields. There are layers of noise, giving you the opportunity to focus on particular sounds or just let it wash all over you. As usual, Lawrie's voice is buried in the mix, complimenting the sound but not distracting our attention from it. When I reviewed Hidden Fields I think I said something about it being the record that I had been waiting for. This is also true of As Light Return. It's like Forever by Loop being played over the top of Lou Reed's Metal Machine Music. What The Telescopes do that I don't think many other bands do is to use noise not as something to bludgeon us with but something to soothe us. And they take great care in constructing the sounds on these albums so that they stand up to repeated listening. There's always something new to discover. 30 years after they formed and with only one original member remaining, The Telescopes are doing their best work now.